Another Meeting Place in Tampa Bay! 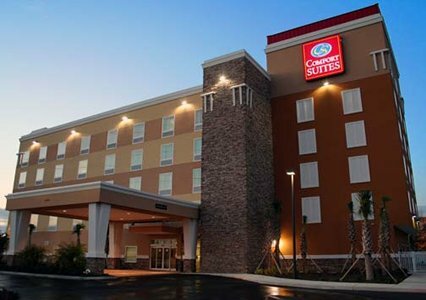 If you looking for a change in hosting your meeting …this brand new Comfort Suites At Fairgrounds-Casino hotel, offers beautifully appointed guest suites and specializes in all your Tampa conventions and conference meeting needs with 1,100 square feet of meeting space to suit your next event. Located just minutes away from down town Tampa , the Convention Center , Historic Ybor city, Seminole Hard Rock Casino, shopping, dining and entertainment and so much more, just contact the hotel for more details on the Free shuttle services they provide. So, if you are looking for countless features coupled with outstanding service, make this hotel your home away from home... with room to work, room to relax and room to breathe. Book a meeting with The Comfort Suites At Fairgrounds-Casino hotel near the Seminole Hard Rock Casino and allow their friendly, professional staff to assist you in planning your next event. Give a call to their sales staff at (813) 868-7770 they&apos;re waiting to hear from you! That’s all for now, but continue stay with us as we bring you more Tampa Bay hotel updates, and great things to do in Tampa Bay. Until then … happy meetings!